The men of Beta Theta Chapter at the University of the South inducted these campus leaders during a ceremony performed on the Memphis campus February 23, 2018. A team of four Central Office staff members consisting of Vince Russo (Robert Morris University, 2017), Jacob Cantu (University of Oregon, 2017), Nick Yarbrough (Baker University, 2017) and Ben Grothe (University of Iowa, 2017) arrived on campus in January. They began marketing the Fraternity, soliciting referrals and interviewing potential new members. The expansion team collected more than 800 referrals from the campus community, interviewed nearly 150 men to select the founding father class of the University of Memphis Crescent Colony. “Like the University of Memphis, our newest colony celebrates the different backgrounds of its members. Indeed, this is a talented and diverse group of men who have come together to be founding fathers. I expect great things to come from my newest brothers,” said Jack Kreman, chief operating officer. Fraternity staff also recruited a volunteer advisory team led by Colony Advisor, Catherine Weiser, to assist the new Delt members as they pursue a charter. Weiser is a chapter services coordinator for Kappa Delta Sorority and formerly served as house director for Delta Tau Delta’s Lambda Chapter at Vanderbilt University. Additional volunteers are still needed, so anyone living in the area with interest should contact Director of Volunteer Recruitment Bentley Anderson at bentley.anderson@delts.org. With a 3.43 cumulative grade point average, the colony is already poised to become an academic leader on campus. “It excites me to see a group of men focused on succeeding in the classroom, strengthening the community and becoming better leaders come together to create something great. These Delts at the University of Memphis have taken the first step in leaving a legacy that lasts for hundreds of years, and I could not be more excited for them,” said Ben Grothe, chapter leadership consultant. Founded in 1912, the University of Memphis is a major research institution with more than 21,000 students. The university, as an engaged community, celebrates the pursuit of excellence in teaching and research as the highest measures of achievement. The University of Memphis is home to 23 Greek-letter organizations. 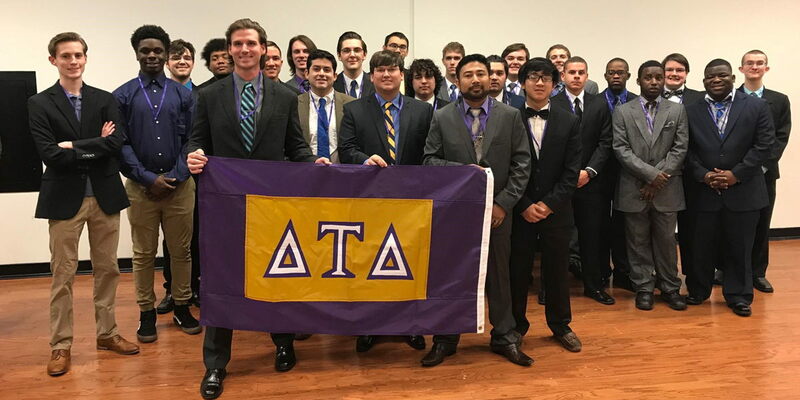 Delta Tau Delta is the newest of nine Interfraternity Council organizations. Founded in 1858 at Bethany College, in Bethany, W.Va., Delta Tau Delta has 133 chapters and colonies in 39 states and the District of Columbia with a membership of more than 9,000 undergraduates and 123,000 living alumni. The Fraternity posts a GPA of 3.1, making it one of the highest achieving men’s fraternities academically.